trollveggen down850 Jacket (M) is rated 4.7 out of 5 by 7. La veste duvet trollveggen down850 est la version revisitée beaucoup plus légère de notre veste duvet la plus chaude et la plus résistante pour homme. Conçue pour les alpinistes les plus aventureux et les plus exigeants, la veste offre d’excellentes performances en termes de chaleur et de résistance lors d’ascension de montagnes escarpées ou par temps froid. Nous lui avons donné un nouveau design plus ajusté pour en améliorer à la fois la liberté de mouvement qu’elle procure et son volume. Elle est dotée de poches chauffe-main pratiques, d'une capuche isolante réglable à une main et d'une petite poche intérieure. Pertex Quantum utilise des fils incroyablement fins, tissés avec précision pour offrir une matière très légère, mais résistante et durable pour son poids. Sa souplesse permet à l’isolation synthétique et en duvet de gonfler au maximum de leur volume. Ce tissu est coupe-vent. Rated 5 out of 5 by epdaman from Awesome jacket I bought this a month ago as a replacement for the warmest RAB jacket after having used that jacket on several peaks over the last 5 years. 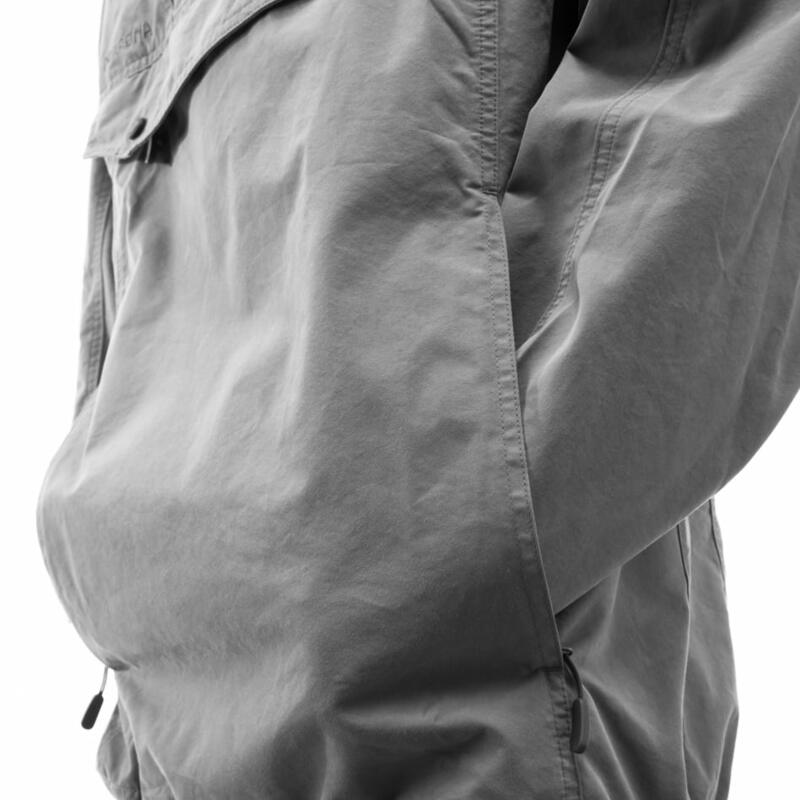 The Norrøna jacket is much lighter in comparison. Basically it is impossible to freeze in this jacket - already did -15 in the slopes and never even thought about the cold. Rated 5 out of 5 by mischiefgirl from Comfortable at 40-below Here in Northern Minnesota, we've had long stretches this winter with temperatures lower than 20-below. The Trollveggen down850 is comfortable in snows and extreme cold: it is durably built but comfortable, great in snows and surprisingly good with wind and cold! If you have hard winters, there simply is no better jacket. Rated 5 out of 5 by Midwest Guy from Outstanding gear! Using coat in cold Chicago. Very warm and watertight. Just what I sought. Rated 5 out of 5 by zorkl55 from Super warm and wind resistant I bought this coat through Backcountry.com last winter. It kept me warm in the coldest nights in the Upper Midwest. At temperatures of -20 F, and high winds, this coat was flawlessly warm and wind resistant. My warmest winter coat. And my best. Rated 3 out of 5 by David A from Looks great but quality is questionable I bought the jacket. Super warm and looks great however, after a month the stitching is starting to come undone and feathers are ‘leaking’. Rated 5 out of 5 by Prospect1 from Great jacket An excellent jacket all round, warm, light and very comfortable, has a real feel of quality about it. Highly recommend. Does the jacket have box-wall or sewn-through baffle construction? Very important info that has been left out of the description. Box-wall for sure. &nbsp;These jackets are so, so warm (we have 2). &nbsp;Feels like you're in an extremely warm sleeping bag, and you don't feel any wind penetration at all. Hi, the trollveggen down850 Jacket is our warmest and most durable down jacket for men. Made for adventurous and demanding mountaineers. The lyngen Gore-Tex Infinium down850 Hood Jacket is soft yet water-repellent to protect against light rain and snow while the laminate is extremely breathable, minimizing internal condensation. This makes it work perfectly on ski touring where weight is to be kept to a minimum. You can use both jacket for casual but the lyngen jacket is more the most versatile of the two. why do not you sell a xxl size for this jacket ? Hi ： May I know how much down is insulated for this jacket? What weight of down is inside this jacket please?